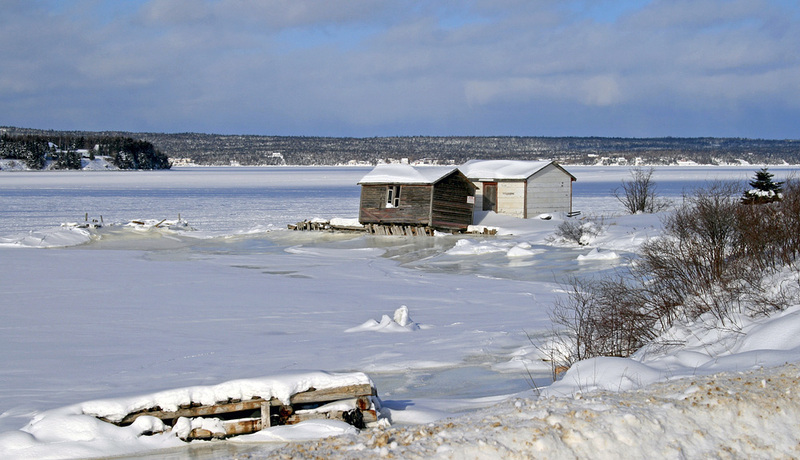 To most people, spring doesn’t simply “arrive” in Newfoundland. It fights and claws its way back, while winter works like the dickens to maintain its icy grip. April can be like purgatory here on the island – somewhere in between two battling seasons, deceptively mild and promising one minute and bitter cold the next. And this year has been no exception! But to birders, signs of spring start popping up long before the promise of warm weather. 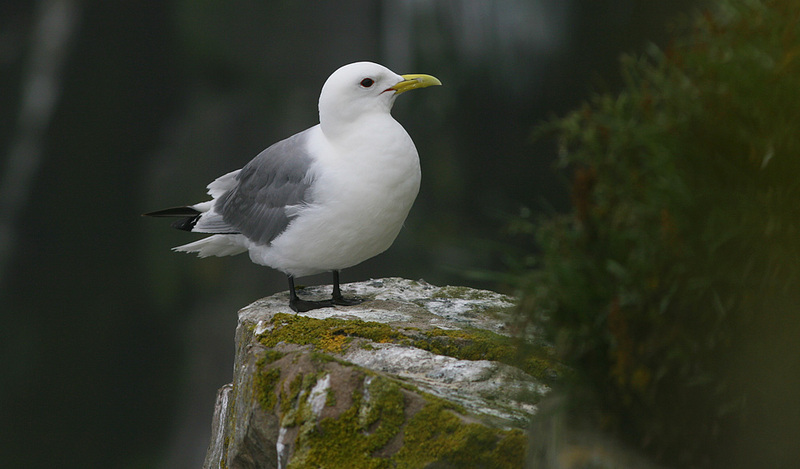 Black-legged Kittiwakes and Ring-billed Gulls begin returning to our coast in late March, looking fresh and bright after a long winter abroad. Horned Larks can often be found on coastal headlands and kelpy beaches, waiting for the last patches of snow to disappear on the grassy barrens. 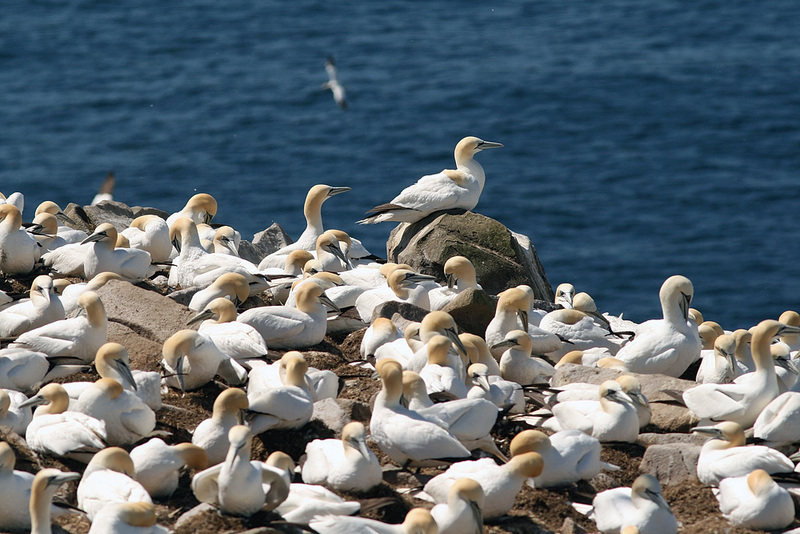 Northern Gannets head north from more temperate waters in early April, catching their first glimpse of Newfoundland in more than five months. 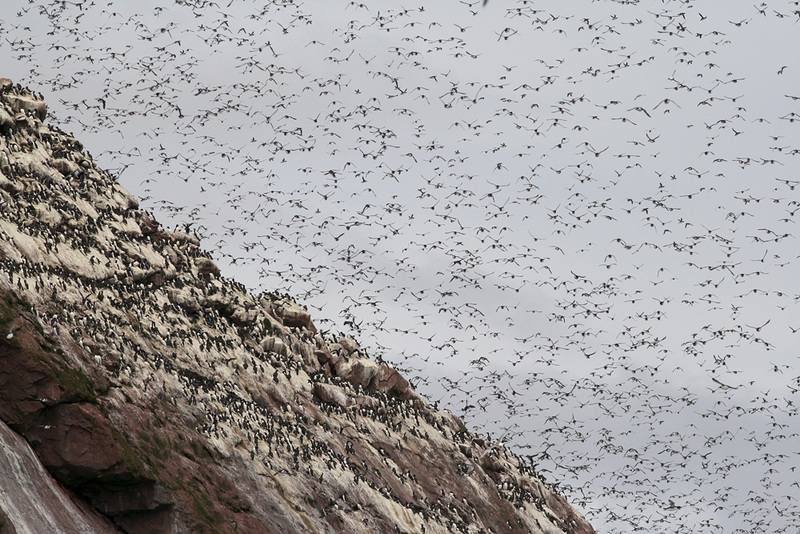 Common & Thick-billed Murres start rallying for their precious few inches of personal space on the steep breeding cliffs, while Atlantic Puffins begin spring repairs on their family burrows. 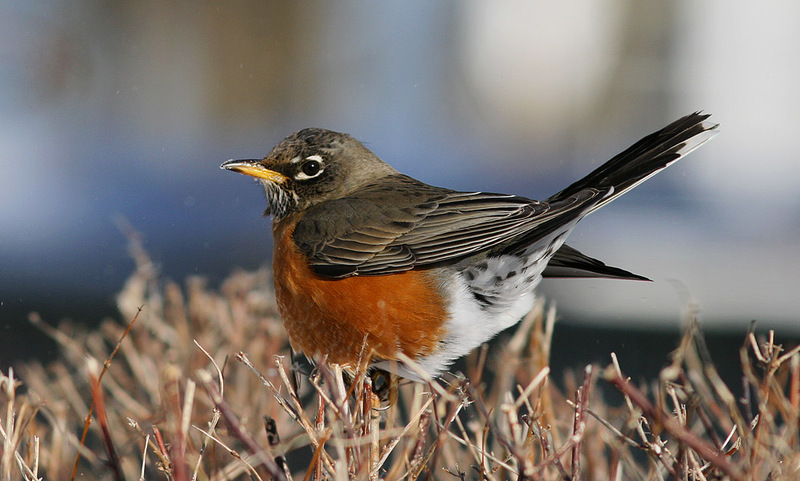 American Robins, the first harbinger of spring that most people will notice, arrive in the first week of April to show off their bright red breasts and spring melodies. Not to be outdone, Fox Sparrows come in on the same winds and belt out their ethereal tunes. Spring has sprung, despite the lingering snow and yo-yo temperatures. Each and every bird that arrives, unseen as they might be, helps peel back the icy fingers of winter. And I’m ready for that. The return of Black-legged Kittiwakes is probably the very first sign of spring in Newfoundland, even if they go unnoticed by most people who are still occupied with shoveling snow in late March. 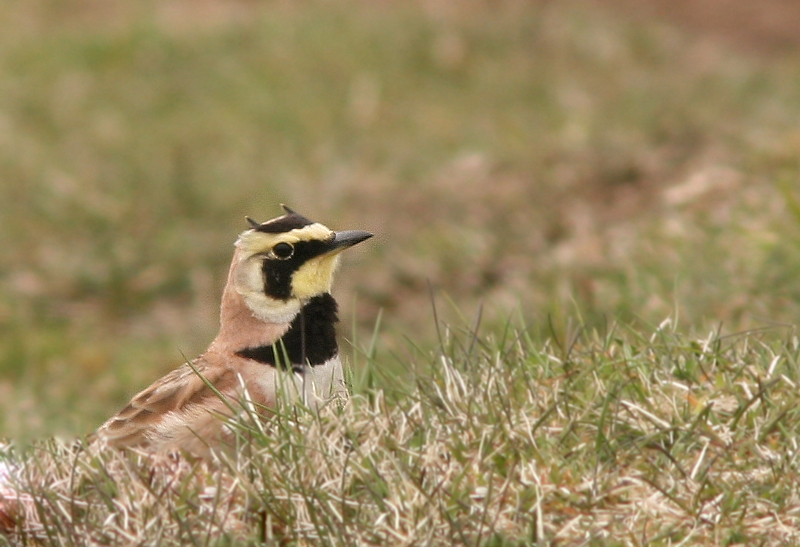 Horned Lark also begin returning at the very first crack of spring – often the first migrant songbird to return. 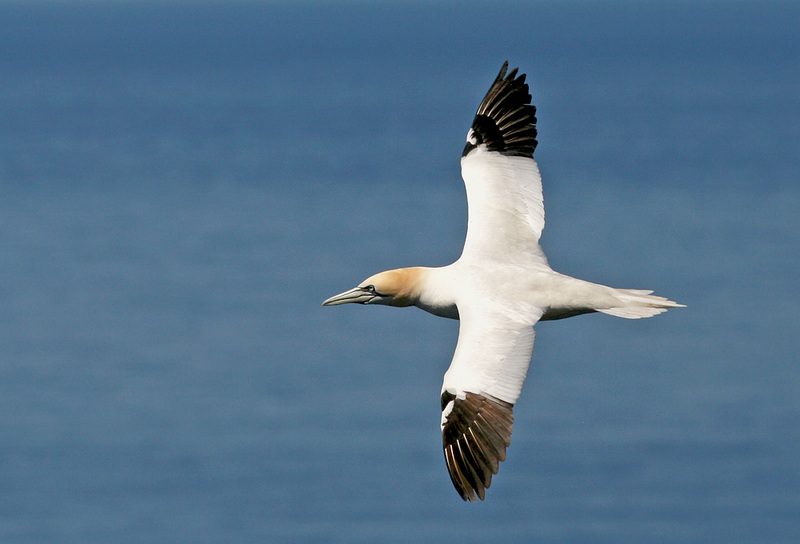 A growing number of Northern Gannets can be spotted migrating along the coast by the first week of April. 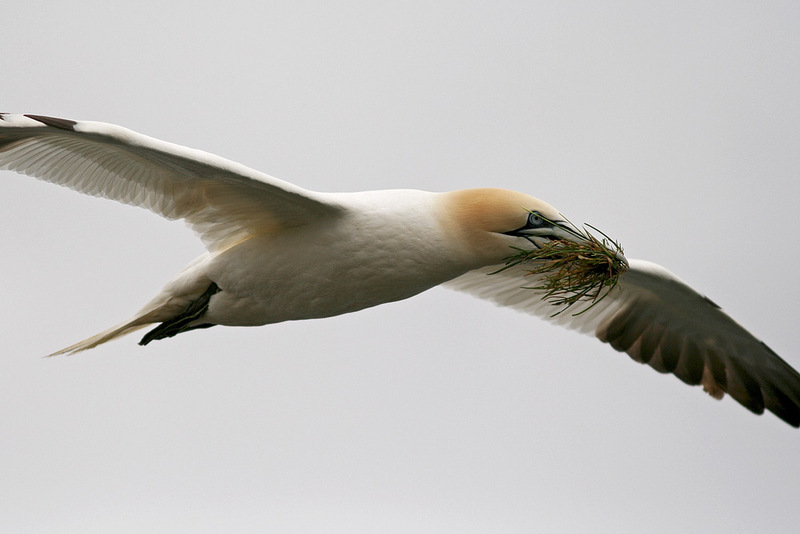 Spring is a busy time of building and repairing nests, from the smallest songbird to the largest seabird. 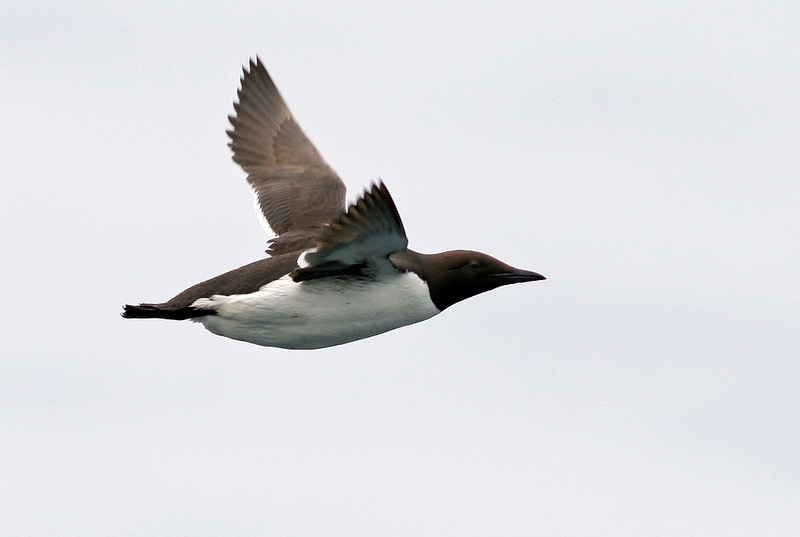 Murres may have less distance to travel after a long winter out at sea, but their return is no less notable. Real estate is hard to come by in the crowded murre colonies, and spring must be crazy as each pair establishes just a few inches space on a narrow cliff ledge! 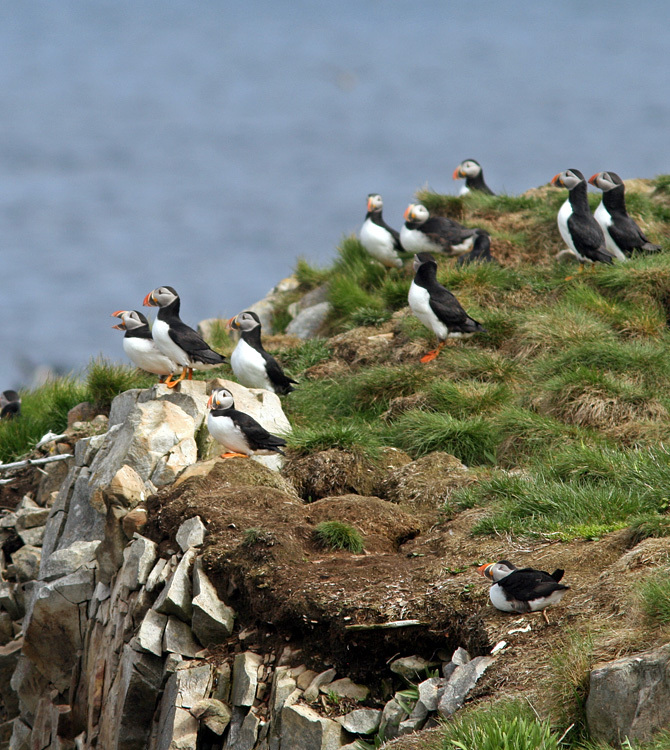 Soon, the famous Atlantic Puffin colonies along our coast will look like this again – alive and colourful. Even to non-birders, the return of bright and vocal American Robins is a hallmark of spring in Newfoundland. For serious birders, spring also brings the potential for rarities that have strayed off the beaten path during migration … and in Newfoundland, European stragglers make for the most excitement. 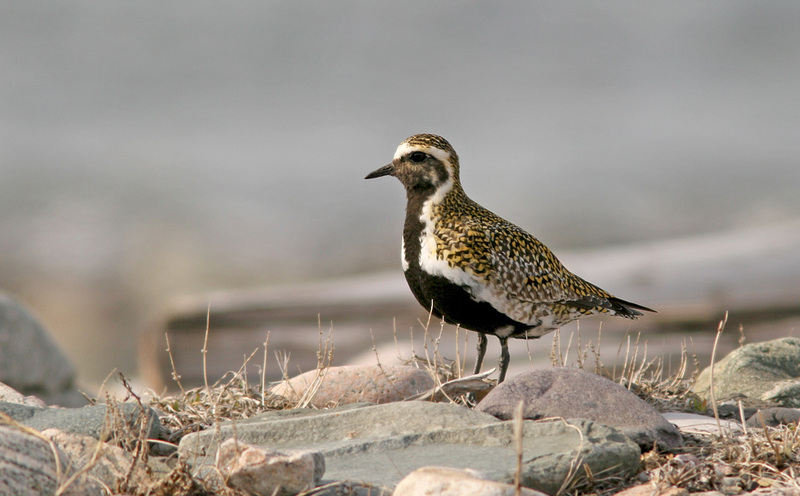 In 2014, more than 300 European Golden Plovers were reported across Newfoundland in early May – a huge invasion of this nearly annual rarity. Will we see any this year?? This entry was posted in Newfoundland birds, Weather and tagged atlantic puffin, common murre, European Golden Plover, European vagrants, Newfoundland, northern gannet, Photography, Spring. Bookmark the permalink. Saw. What I believe to be an American Wigeon, male and female on Kent’s Pond this afternoon.